Our LED dance floor hire is available in various sizes and colours to suit your wedding or event. 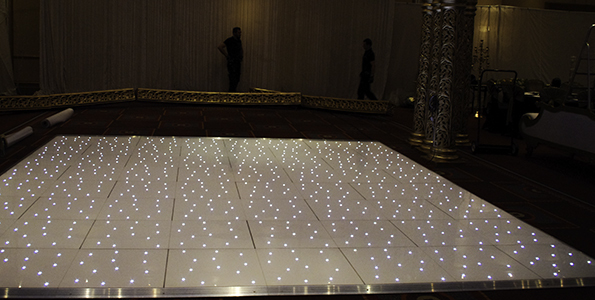 Our dance floors have a shiny gloss finish and are permeated with hundreds of tiny twinkling LEDs. 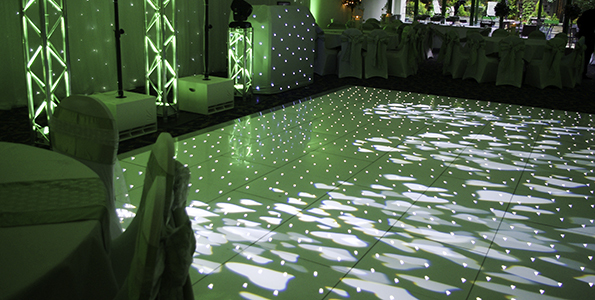 Our LED dance floors are available in black, white or a mixture of both, depending on what you require for your event. We have LED dance floor sizes to suit all requirements and budgets! 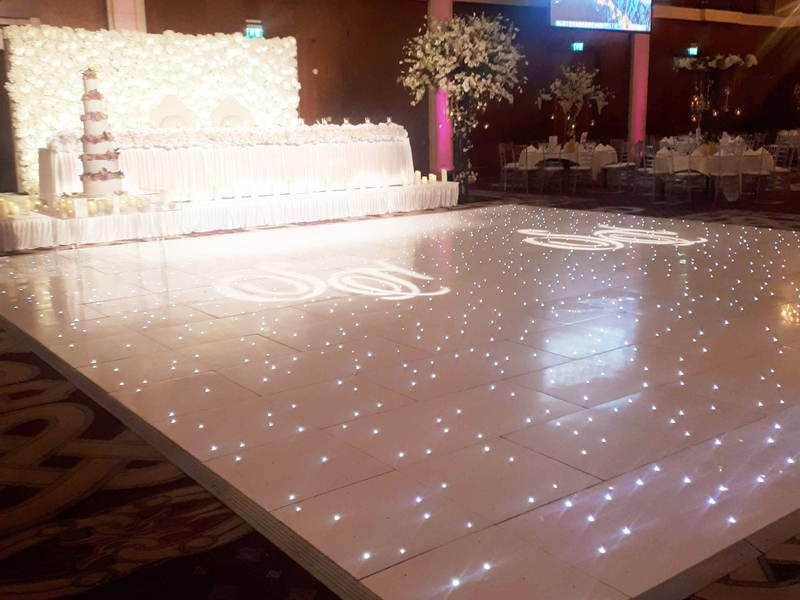 Our white LED dance floors are most popular within the wedding market, nothing looks more spectacular than one of our beautiful white LED dance floors as a centrepiece to your wedding day. 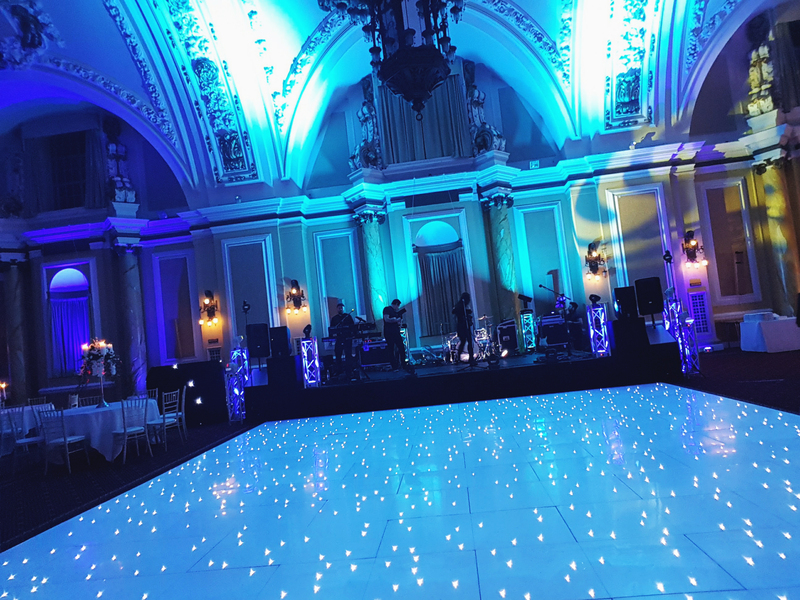 We offer various sized black LED dance floors to clients across South Wales, Bristol and further afield. These black dance floors are equally popular with corporate events and themed weddings. 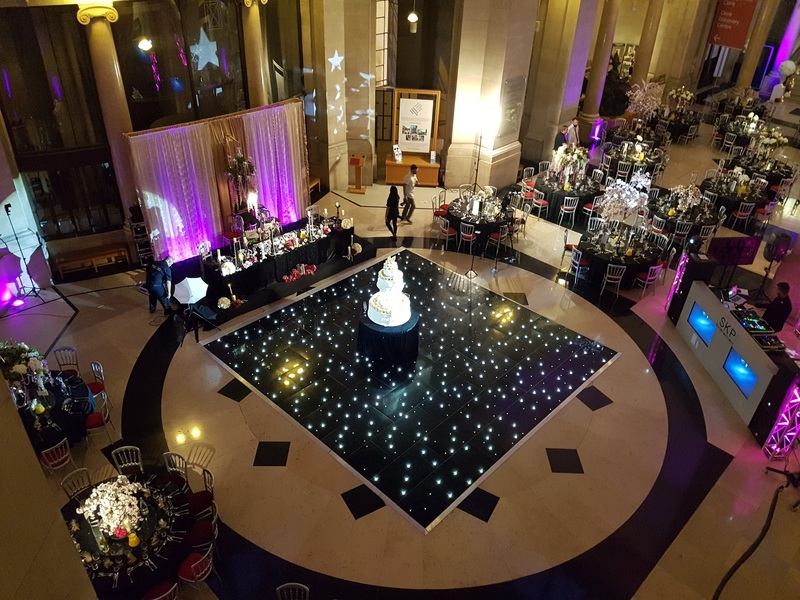 If you require the smart and sophisticated look, we recommend our black LED dance floor hire. We can provide any size black and white LED dance floor. These black and white dance floors look great for themed weddings or corporate events. There is no additional charge for hiring a mixed black and white dance floor. There are two factors to consider when choosing your dance floor size. You need to take into account the number of guests you are expecting and the space available for a dance floor in your chosen venue. It is widely expected that at any one time you can expect approximately 30% of your guests to be dancing. Here is our guide to what size dance floor we believe you will require. We will deliver and install your dance floor as part of your quotation. Your LED dance floor will be installed at a time which suits your event. For corporate events and functions, this is normally before the event begins. For weddings, the dance floor is often installed during the room changeover period. 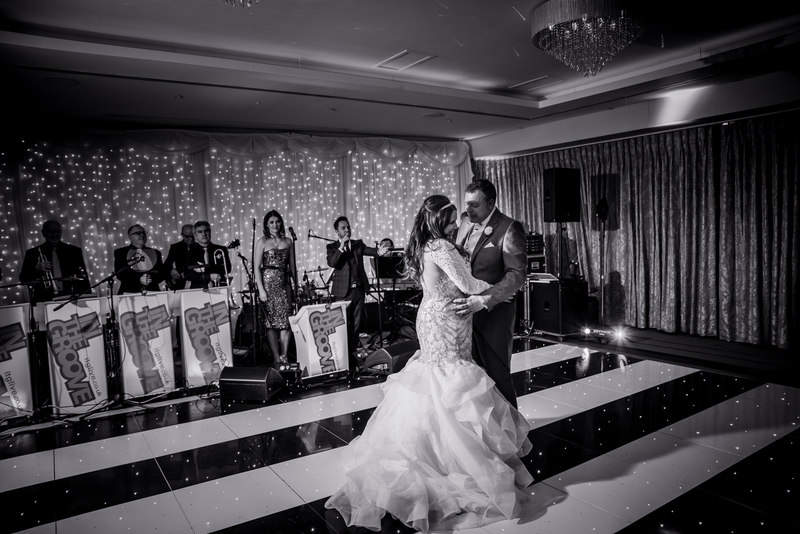 Exceptions are made if your wedding does not require a room changeover, we will install your starlight dance floor prior to the arrival of guests. Installation time varies depending on the size dance floor required, times are normally between 20 and 60 minutes from the smallest to the largest size dance floors we supply. Removal of the floor takes less time than installation and can be done at the end of your event or the following day if necessary. If you’d like to hire an LED dance floor from us, remember to tell us what size you need in the contact form on this page.